American Humane, the country’s first national humane organization, celebrates Adopt-a-Cat Month® each June – a month that also marks the height of “kitten season,” when millions of kittens are born and often end up in animal shelters. 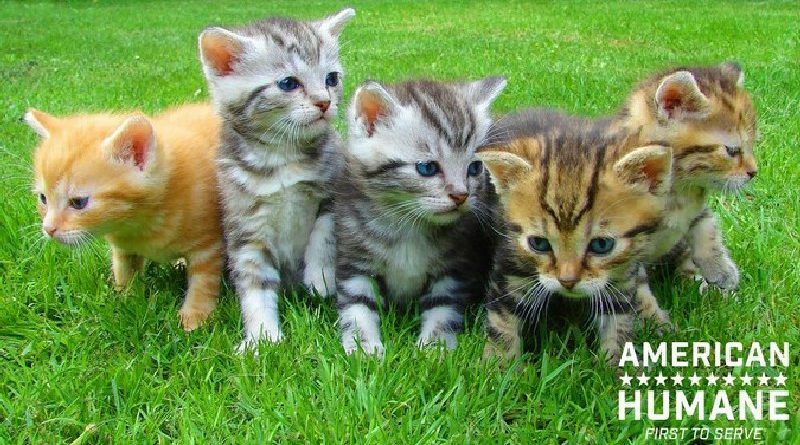 The feline population increase fills animal shelters across the country each June with cats and kittens who need a home. In honor of Adopt-a-Cat Month®, American Humane has collaborated with Zoetis Petcare, a U.S. business unit of Zoetis, to celebrate all things feline and encourage pet lovers to consider giving a cat a forever home. American Humane will be sharing Adopt-a-Cat Month® content across social media platforms throughout the month to showcase the powerful bond that humans have with their feline friends. Cat adoption checklists, tips for pet owners dealing with unruly cat behavior, like scratching or marking, humorous videos, and interviews with animal shelter employees will be shared. The organization is also encouraging proud cat owners to share photos and stories of how their cat or kitten enriches their life. The popular annual campaign is part of a larger effort by American Humane to help improve the health and welfare of cats and solve the unique challenges and issues they face. Although cats have often been referred to as America’s “Most Popular Pet,” they receive less veterinary care, have less research dedicated to their unique health and behavioral issues, and are more likely to be euthanized in animal shelters than their canine companions. American Humane has been conducting research to identify barriers to adoption and retention, as well as other key welfare issues. To celebrate Adopt-a-Cat Month® and learn how you can be prepared for the joyful – and sometimes confusing – moments of adopting a cat, visit www.AmericanHumane.org/Initiative/Adopt-A-Cat-Month, and be sure to follow @AmericanHumane and @ZoetisPetcare on Facebook and Instagram, and @Zoetis on Twitter.